Create With Christy: Promotions, Promotions, and More Promotions! I have a few promotions to share with you that are going on, and one that will start on Monday. 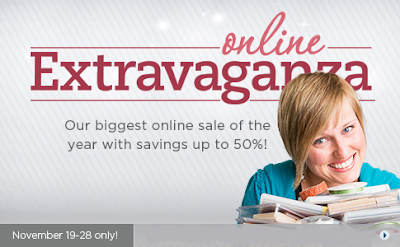 The one that starts Monday is our annual Online Extravaganza! 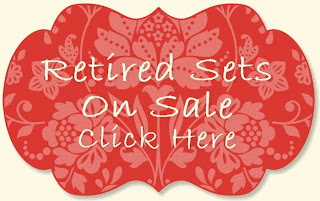 Click here to see the items that are on sale through the whole event, November 19-28. 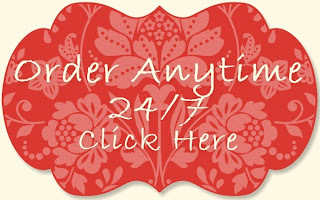 Another promotion that you'll want to know about are two new Sizzix products. The product pictured above is the new Sizzix Texture Boutique. There were only 4,000 available when they started offering them on Thursday, and they announced yesterday that they have already sold 1,500 of them! If you would like to get this cute embossing machine, you'll need to HURRY! CLICK HERE to find out more about the promo. CLICK HERE TO ORDER THE TEXTURE BOUTIQUE ONLINE BEFORE THEY'RE GONE! The other new Sizzix product is the Talking Tag. CLICK HERE to find out more! The last promotion going on right now is the Ink-dedible Promo for Workshop Hostesses and New Demonstrator Recruits! Host a workshop by December 16, and you could earn a complete collection of new Classic Stampin' Pads (choice of Brights, Regals, or Subtles collections). Sign-up to become a demonstrator by December 16, and get a complete collection of new Classic Stampin' Pads (choice of Brights, Regals, or Subtles collections) added to the starter kit FREE! CLICK HERE to find out more! Remember, this promotion ends December 16.